DOWNERS GROVE, Ill., March 1, 2019 — Univar Inc., today announced that it has completed the acquisition of Nexeo Solutions, creating a leading global chemical and ingredients solutions provider. The combined company will conduct business as Univar Solutions, reflecting a commitment to combining the ‘best of the best’ from each legacy organization. Univar’s Oleochemicals Team, formerly Chemical Associates, is ready to assist with your business and product challenges. With a global supply network in place for fatty acids, fatty alcohols and derivatives in the range of C6 to C22, plus glycerine, combined with over 100 years of oleochemicals marketing and technical experience, Univar is poised as the most effective marketer in the industry to solve your formulation, application, or supply challenges. Dimer acids are synthesized via clay catalyzed reaction of C18 fatty acids. Several C18 fatty acid sources are used to produce dimer acid. Tall oil fatty acid (TOFA), with its unique fatty acid distribution, and the presence of residual rosin acids, leads to dimer acids with properties that can’t be found in dimers produced from other fatty acid sources. TOFA’s properties lead to dimer acids with linear, branched, cyclic, aromatic, and naphthenic structures. When a TOFA-based dimer is used to produce polyamides, esters, or amines for applications in oilfield chemicals, coatings, lubricants, or corrosion inhibitors, these dimer derivatives have unique viscosity, surface activity, and flexibility properties, because of their underlying chemical structures. Depending on the specifics of the end-use application, these unique properties may lead to improved performance and value in use. Univar Inc. and Kraton Corporation have signed a select distribution agreement that expands the product offering of Univar’s Oleochemicals Team. The agreement, announced in October, includes tall oil-based UNIDYME™ dimer acids, CENTURY™ specialty fatty acid products, key products from the SYLVACOTE™ insoluble maleics, SYLVAROS™ tall oil rosin and rosin soaps, SYLVABLEND™ specialty dimer and CENWAX™ product lines. Univar’s Oleochemicals Team, formerly known as Chemical Associates and acquired by Univar in 2015, specializes a wide range of natural oleochemicals, including tall oil fatty acids, oleic acids, stearic acids, fatty alcohols, polyunsaturated fatty acids, coconut fatty acids, ricinoleaic acid, methyl esters, calcium stearates, myristic acid, dimer acids and more. Made from both animal and vegetable sources, glycerin is used in a variety of applications across many industries, including pharmaceuticals, foods, personal care, tobacco, antifreeze and agrochemicals. As a result of increasing demand and continuing supply issues, the refined glycerin market continues to be tight, well into Q2. Tallow-based. 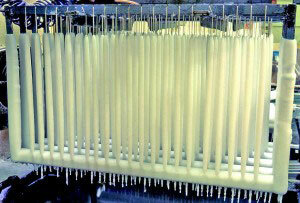 Bleachable fancy tallow pricing has sharply risen since the beginning of the first quarter of 2016 after an extended period of “floor” pricing. The market remains well supplied with standard lead times applying. Demand is seen as steady to soft. Weather, such as El Niño, and possible reduced production rates could influence pricing later in the quarter. Veg-based. Pricing has risen sharply as expected since early January with the upward trend in commodity prices; however, over supply and weak demand will likely temper market success. The strengthening of the Malaysian ringgit versus the U.S. dollar is also a factor. Bearish. Slow growth. Subdued demand. Political uncertainties. Security threats. All descriptors commonly used in anyone’s outlook of the 2016 global economy. With significant weather patterns (El Niño) added in the mix, it will be an interesting year for our feedstock commodities. With volatility in oil prices, very little can be taken for granted in today’s markets and nothing is out of the line of sight. Keep in mind, from a relevance standpoint, many of these fats and oils are trending near their six-year lows, so theoretically, no additional significant downslides are expected. Tallow – BFT (Renderer) moved upward in the early days of February and should remain relatively stable over the next few weeks assuming no major outside influences come to play as it is now in line with historical corn and soya price models. While there is some talk of snugness in the marketplace, slaughter rates have resumed somewhat normal rates (albeit still down from historical rates) and stockyards are beginning to build inventories. Assuming nothing unexpected, the high 20s/low 30s will be the new region of stability for tallow until any of the four various demand sectors witness any substantial growth. 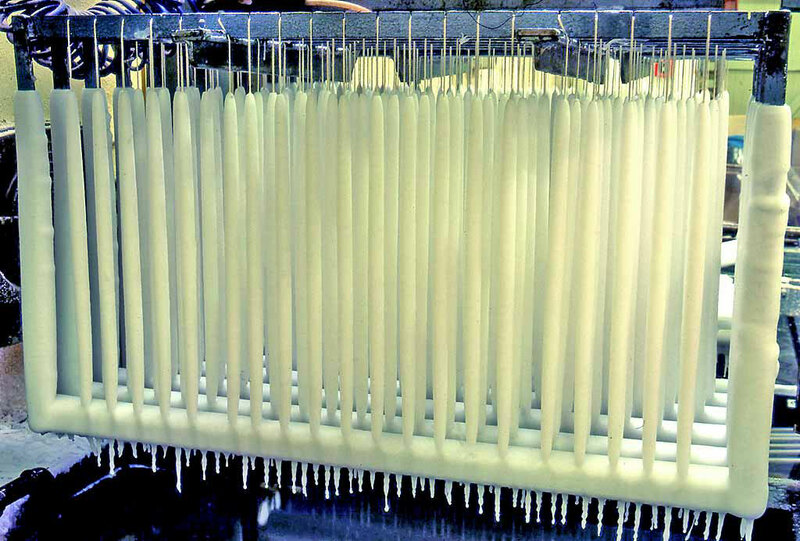 Tallow is the feedstock of Univar’s broad range of oleic acids and stearic acids. Soya – Globally, stocks are still at or near historical highs but the recent weeks in the market have shown a little perkiness based on the biodiesel mandates and some talk of El Niño in South America. The upcoming South American harvest data will be our next big opportunity to gain insight into the Q3 and Q4 price outlooks. In addition, the new political leadership in Argentina as well as the soybean meal/oil balance issues will play roles as well in this outlook. Soya is used in Univar’s polyunsaturated fatty acid products. Palm – The new year has brought a steady increase to this market – plenty of reasons and support – but mostly built around El Niño and the decreased oil palm output. This weather system causes dryness in the region and thus lower fruit production. The result is lower stock levels and the market runs upward. Certainly, the Chinese New Year always affects the demand equation in January as well. Now with the Malaysian Palm Oil Conference looming in early March there is plenty of support to keep prices on the high end until the technical side can weigh in more heavily. But unless this El Niño pattern is a lot worse than expected, and given the present positioning of soybean, CPO isn’t likely to remain at its current price level of 2,400 + RM very long. With the overall global economic situation remaining bearish, this is a simple supply/demand equation longer term and we’re clearly in an over-supply situation. On the demand side, the ability of the Indonesian government to effectively increase its internal consumption through higher biodiesel percentages (B10/B20) will be closely monitored. View Univar’s line of vegetable-based oleic acids. Palm Kernel/Coconut – PKO is up almost 12 percent in recent weeks and CNO has had no problem following it upward. Most industry experts would argue there is not a true identifiable reason behind these moves so it will be quite interesting to see if they can hold steady beyond the aforementioned POC. Certainly the gap in PKO and CPO isn’t likely to remain long term at current levels. View Univar’s coconut fatty acid products. Our fatty alcohols lineup includes a variety of myristyl, decyl lauryl alcohol, and cetyl stearyl alcohols, to name a few. Contact Univar for more information about our natural oleochemical products.